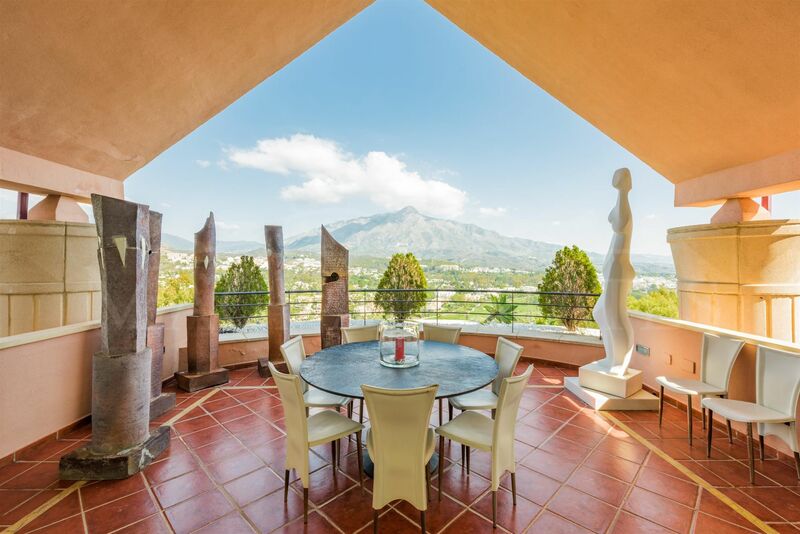 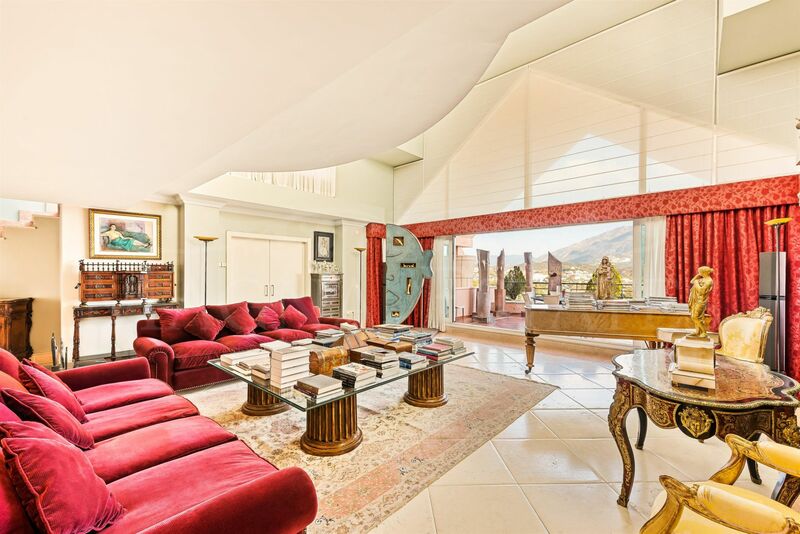 On the second floor, a huge terrace – solarium of more than 500 m2, with views to the four cardinal points, with private pool and where to enjoy the best views of all Marbella: the sea, Gibraltar and Africa, the mountain of the Concha and the Sierra de Ronda and the Las Brisas and Los Naranjos golf courses. 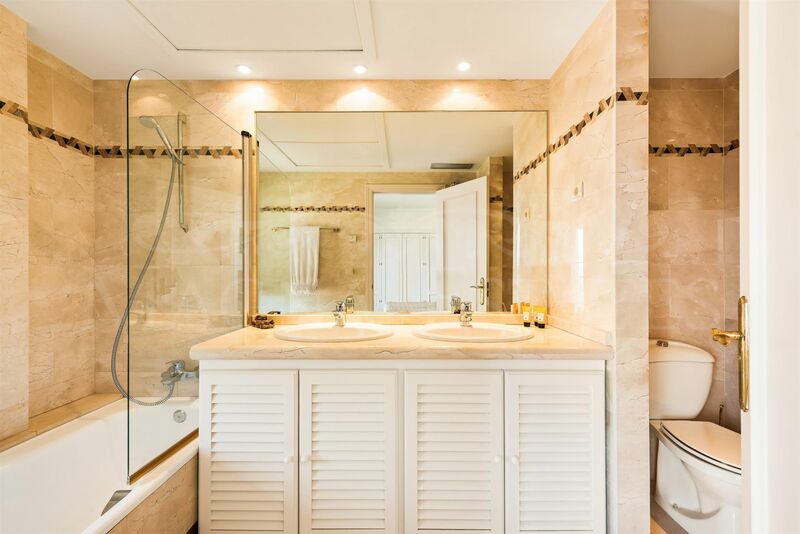 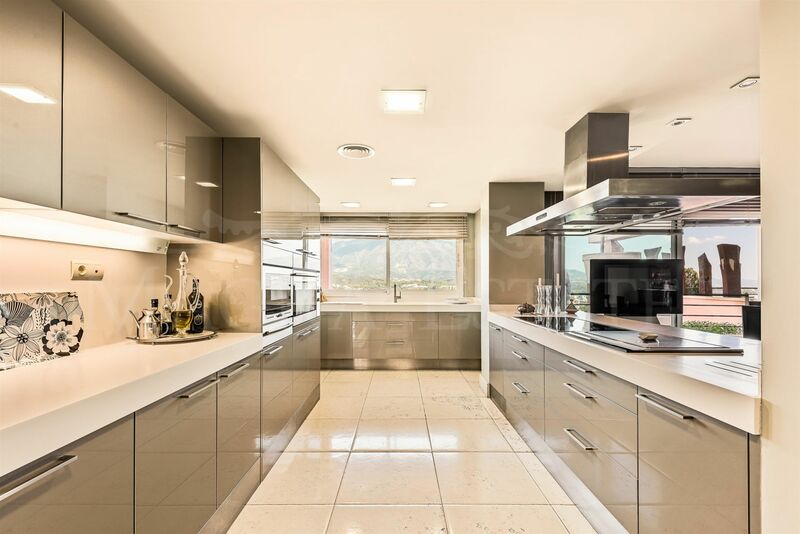 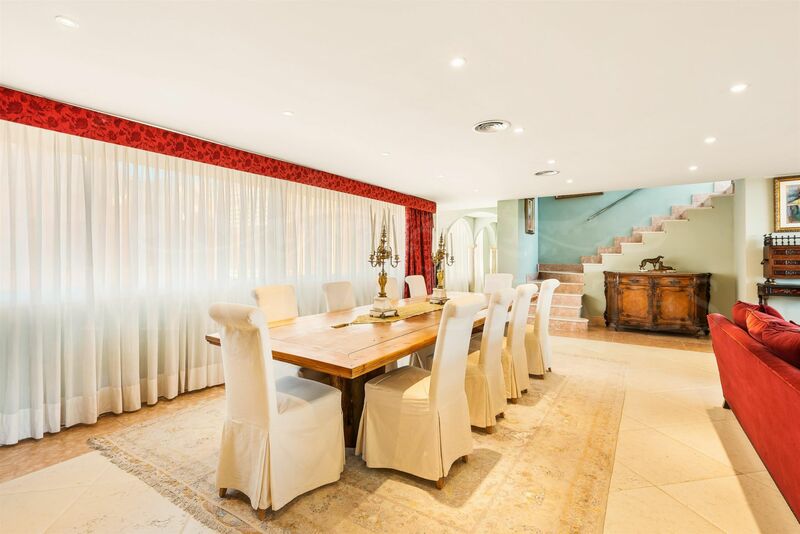 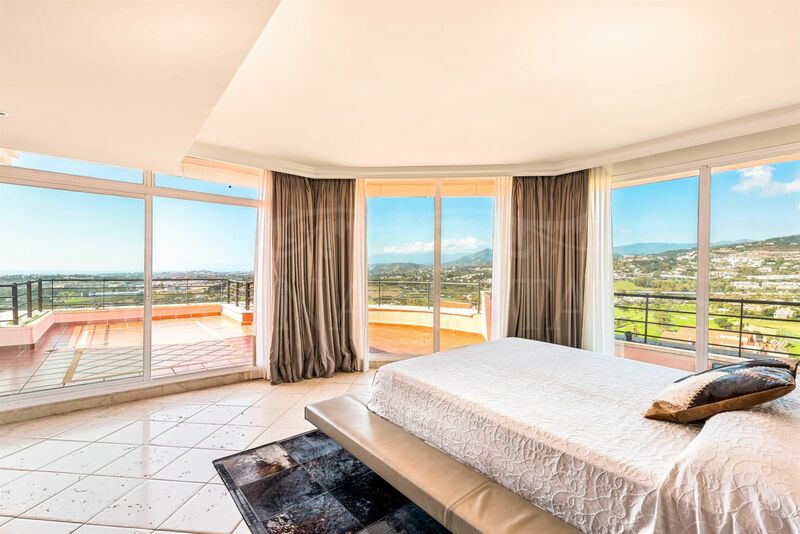 It has underfloor heating throughout the house, air conditioning by areas and an exceptional quality of materials and finishes. 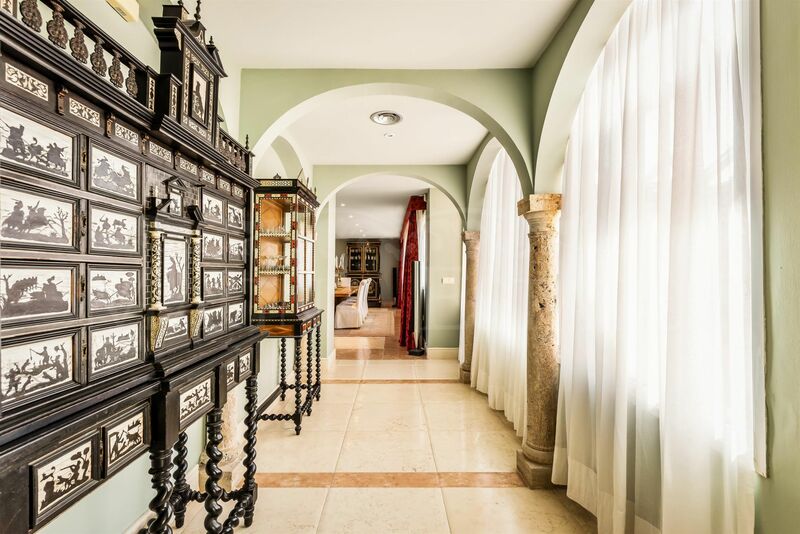 Two parking spaces and storage rooms. 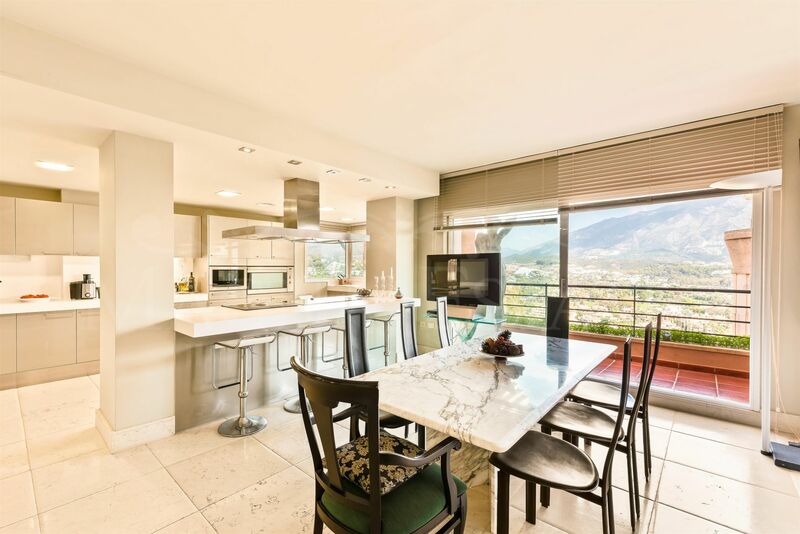 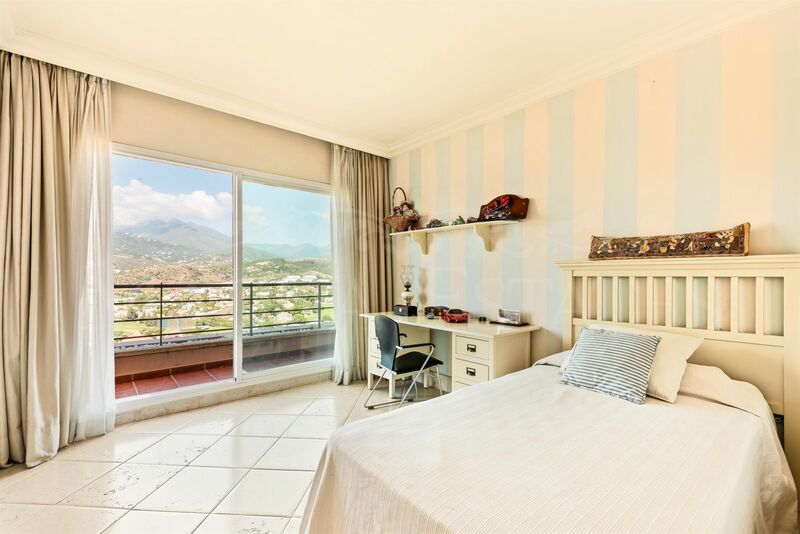 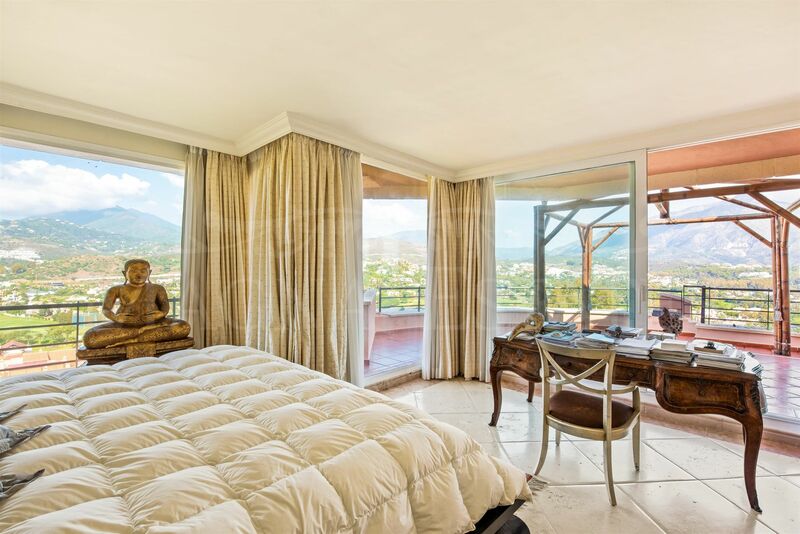 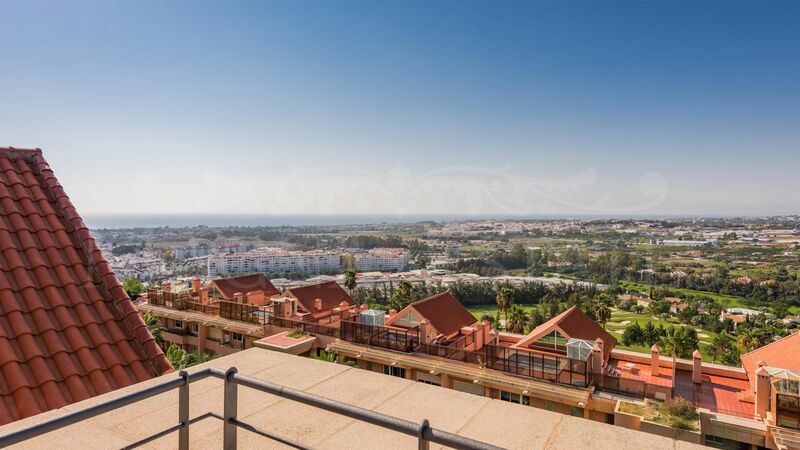 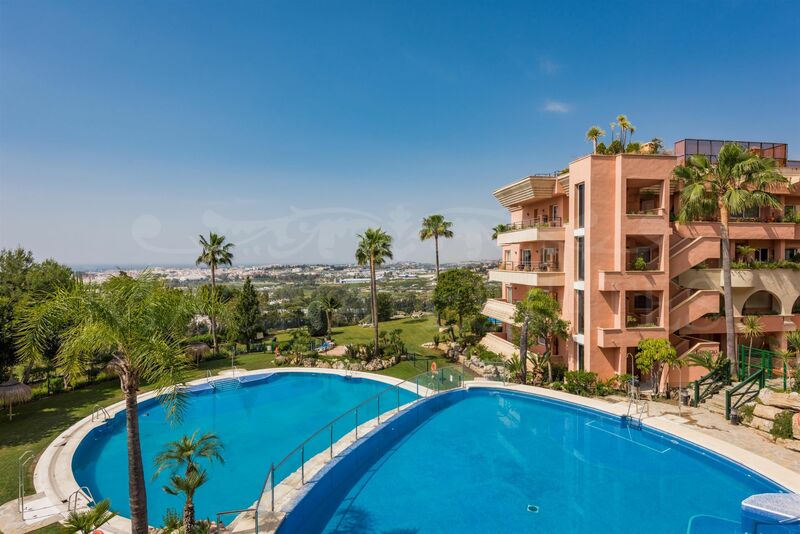 The urbanization Magna Marbella is one of the most emblematic of Marbella, with excellent security 24 hours by professional guards, has 3 outdoor swimming pools and large gardens. 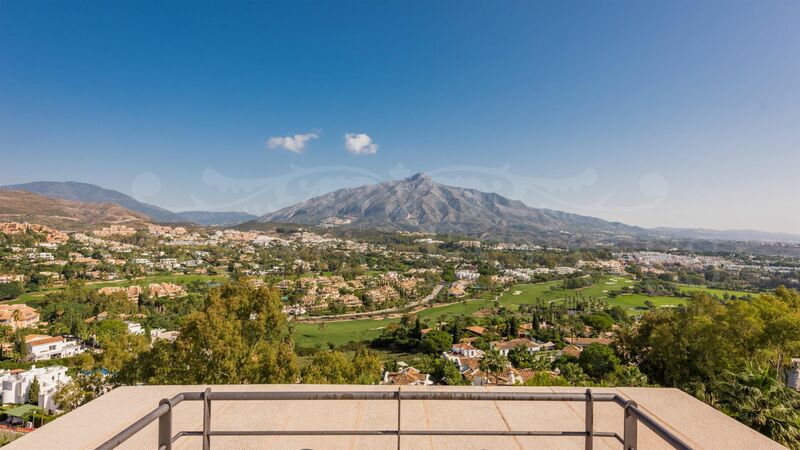 At the foot of Magna Marbella is the golf course of Magna Marbella Golf, with its golf academy and clubhouse where you can enjoy the excellent cuisine and views of the Magna Café restaurant. 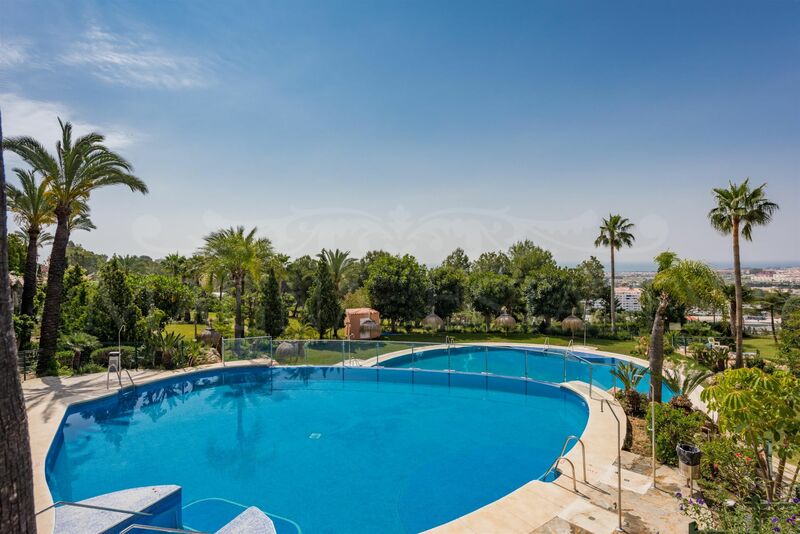 Only a few minutes from Puerto Banús. 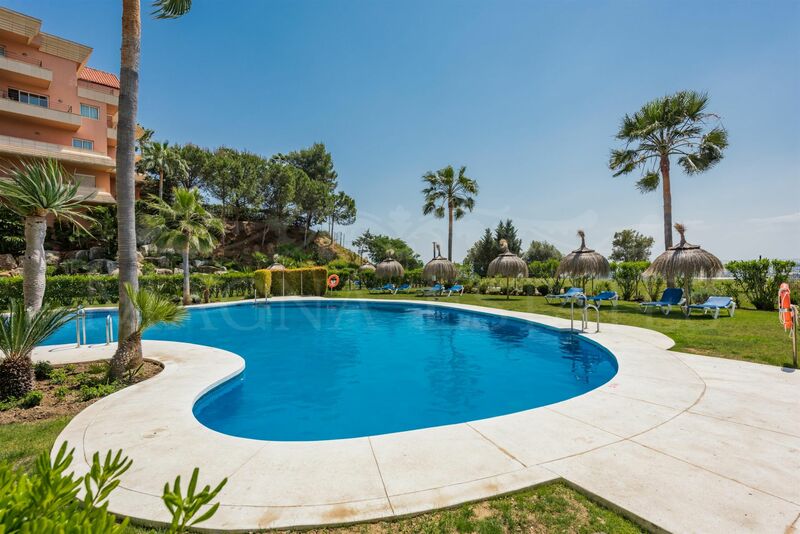 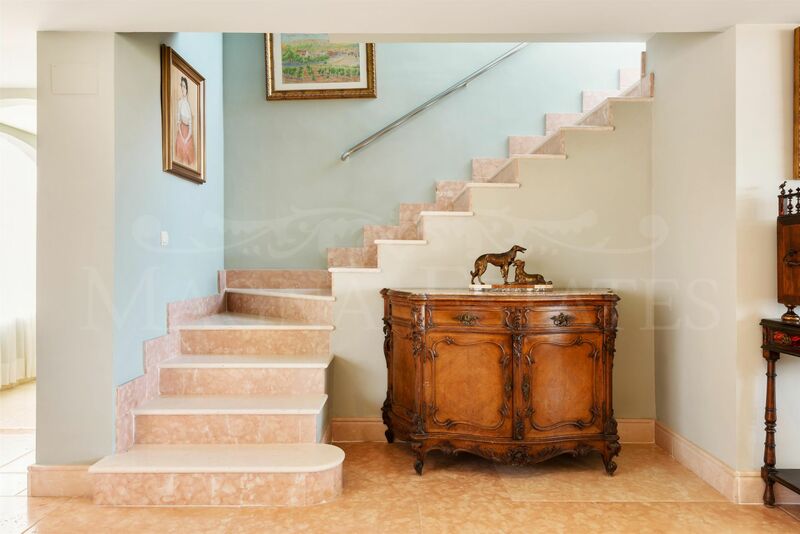 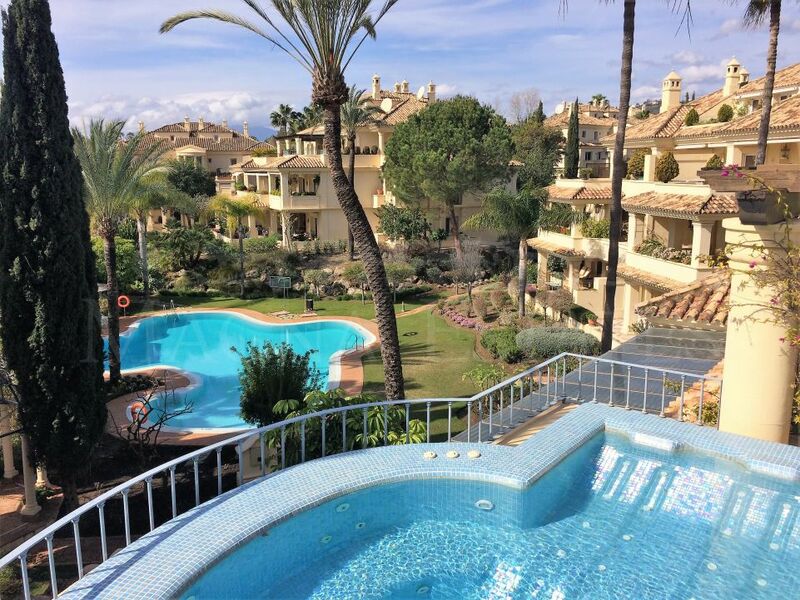 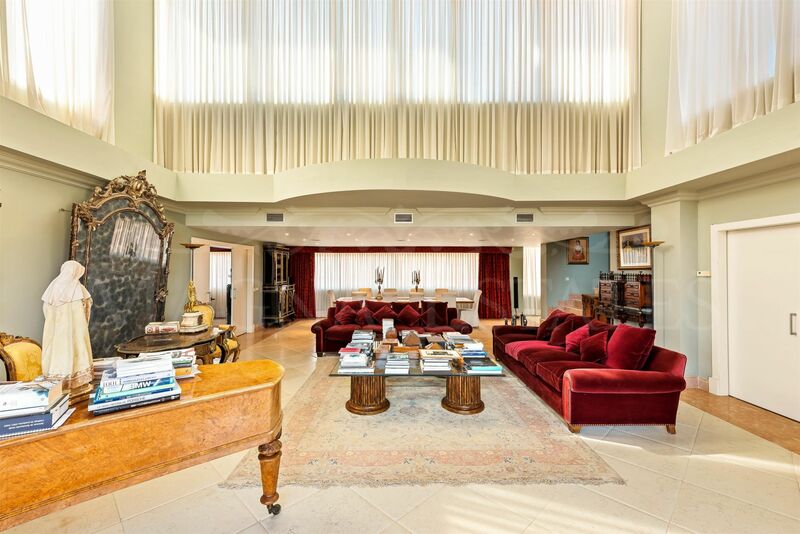 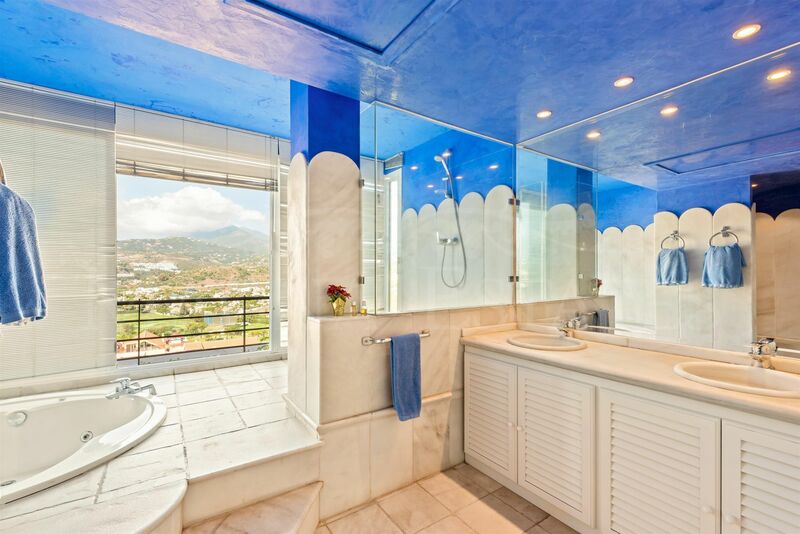 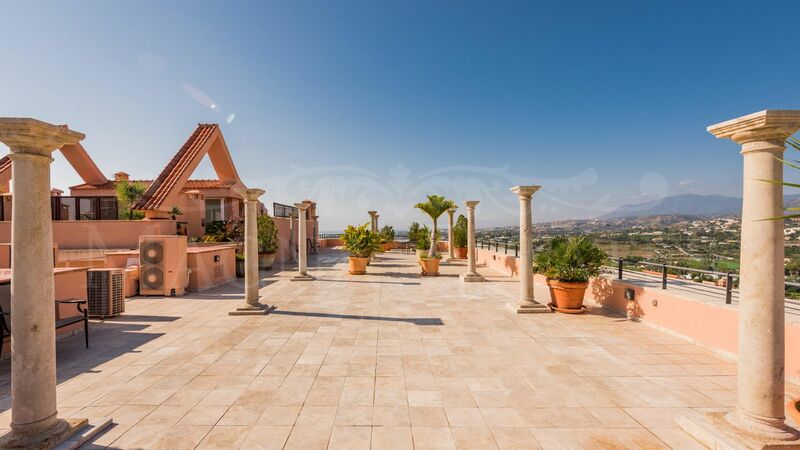 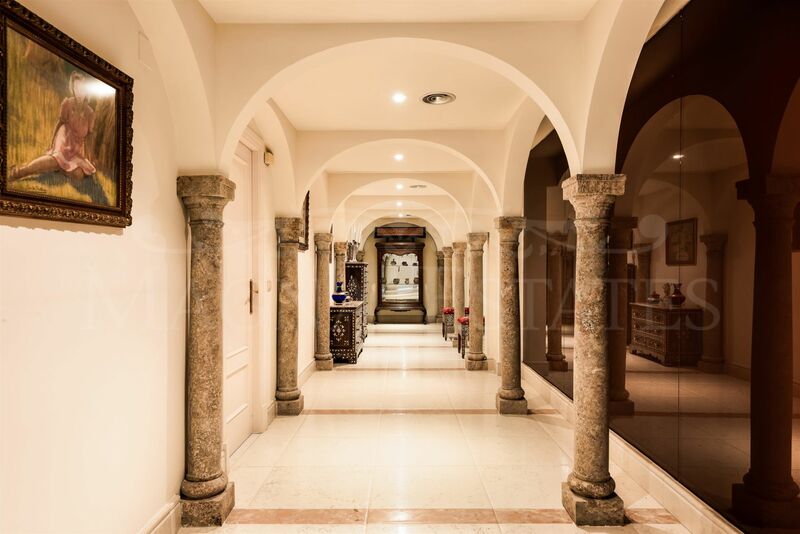 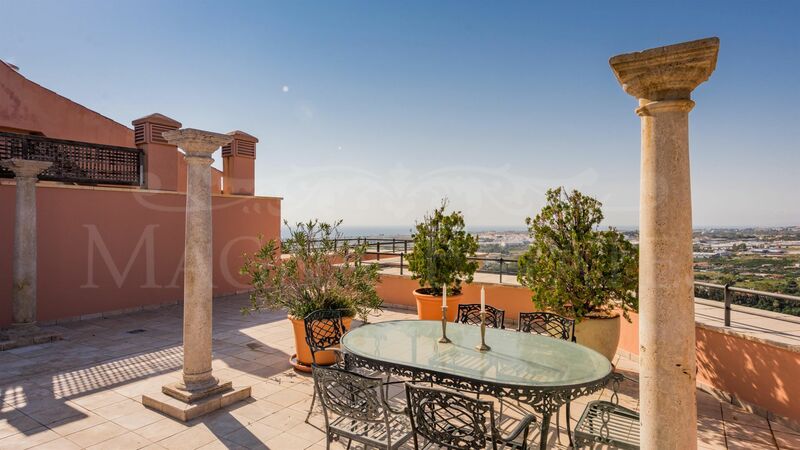 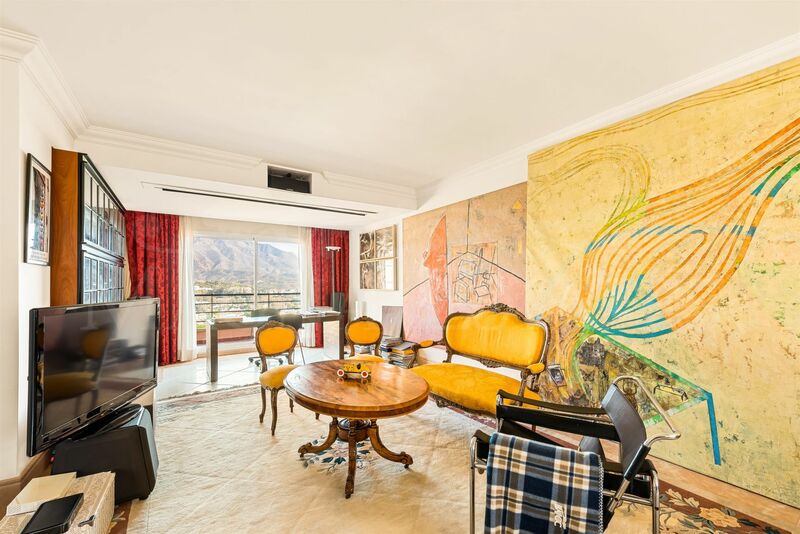 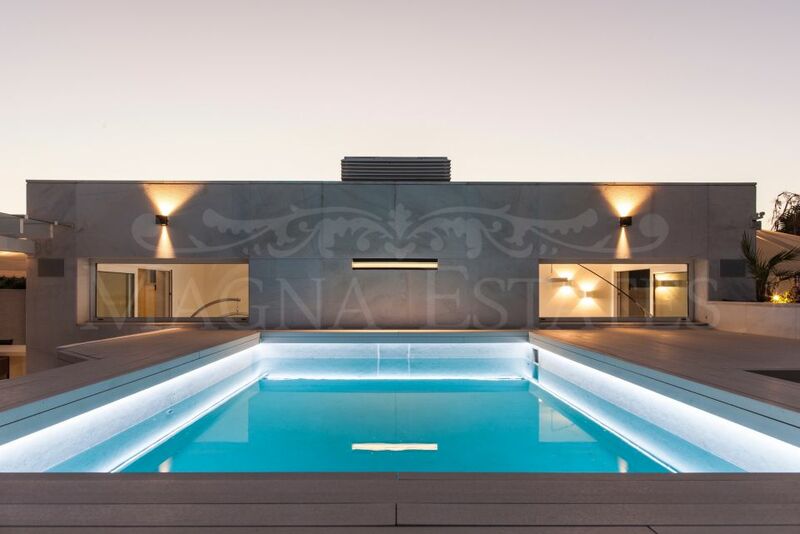 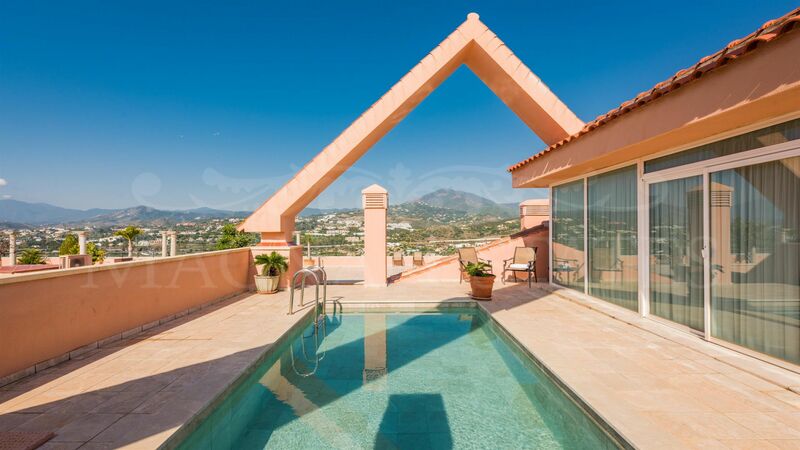 A unique property and one of the best on the Costa del Sol. 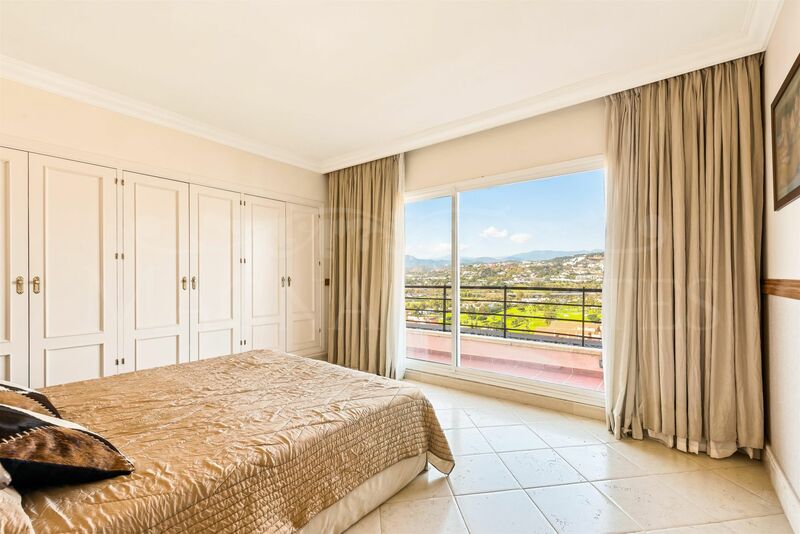 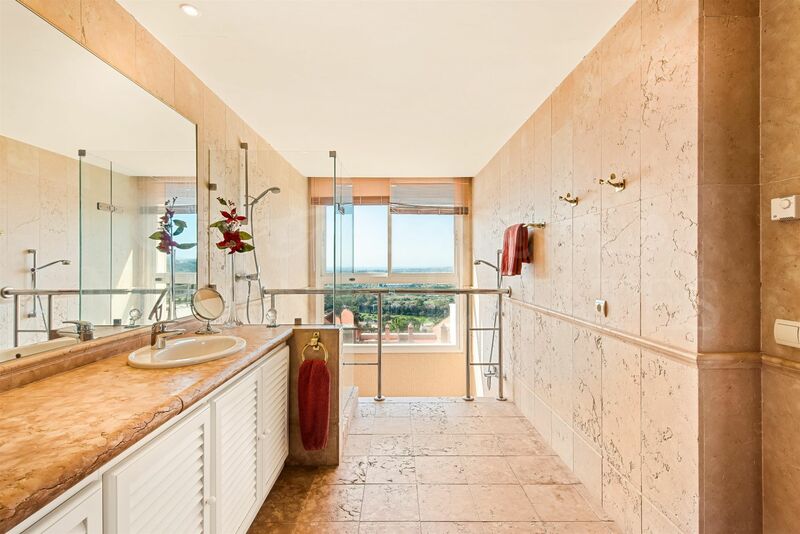 Please, send more information about ref 247-00013P, Duplex Penthouse in Magna Marbella, Nueva Andalucia, Marbella or similar properties.